We are excited to share a feature from October 20th in The Plaid Horse!! Hampshire, IL – October 19, 2015 – Canterbury Farm, of Hampshire, IL, has become one of the top hunter/jumper facilities in the country thanks to its combination of leading professionals and a dedication to exceptional services and personalized training and care for its horses and riders. Canterbury has had top ribbons at shows across the country in recent weeks, and head trainer Greg Franklin recently officiated as a judge at the WIHS Regional Horse Show on October 16-18. 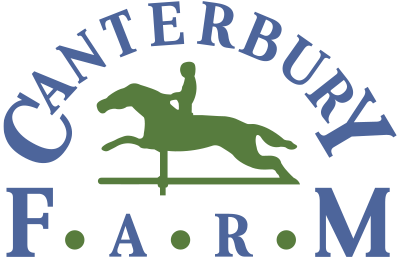 Owned and operated by the Franklin family, Canterbury Farm has been nationally renowned in the equestrian industry for more than 30 years. The Canterbury team, led by Franklin and rider and trainer Caitlyn Shiels, has had great success in the show ring recently. As Canterbury’s resident professional rider, Shiels has brought out the best quality in a wonderful group of horses. Caitlyn Shiels and Granted Wish competed in the WCHR Developing Pro Challenge at the 2015 Capital Challenge Horse Show. Photo copyright The Plaid Horse. Following a decorated junior career, Shiels joined the Canterbury team in 2013 and has since helped take the stable’s reputation to the next level. A highlight of Shiels’ early career was being a team and individual gold medalist at the 2004 North American Young Riders’ Championship. 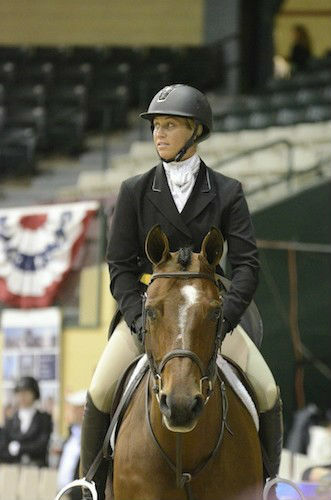 She went on to apprentice under such professionals as Andre Dignelli, Mclain Ward, Ken Smith and Kate Stoffel-Oliver. Almost immediately after she joined the Canterbury team, Shiels and Franklin both began earning multiple championships at major shows. Their partnership, an excellent balance of training both on the horse and from the ground, has brought Canterbury Farm great recognition. The 2015 show season has been especially successful for Shiels and the Canterbury family. Most recently, the young professional competed at the renowned Capital Challenge Horse Show (CCHS) in Upper Marlboro, MD, where she had an exciting eighth place finish in the United States Hunter Jumper Association’s (USHJA) World Championship Hunter Rider (WCHR) Developing Pro Challenge. Shiels led the WCHR Midwest Regional Rider standings heading into the competition, and competed aboard Helen Lindsay’s Granted Wish on the big day at CCHS. The pair also jumped to two seventh place finishes in the extremely competitive Performance Working Hunter 3’6” division during the week. Shiels showed some of Canterbury Farm’s rising young stars in the Future Hunter divisions as well. She jumped Michelle Durpetti’s Elmo in the Future Working Hunters Colts & Geldings division. She also showed Durpetti’s Serafina in the Future Working Hunter Mares 3’/3’3”division, and rode Margo Lyons’ Kadence Darco in the Future Working Hunters 5 & Under. The classes serve as wonderful experience for the developing young horses as well as a fantastic showcase for many top riders. >>>Continue reading on The Plaid Horse by clicking here!